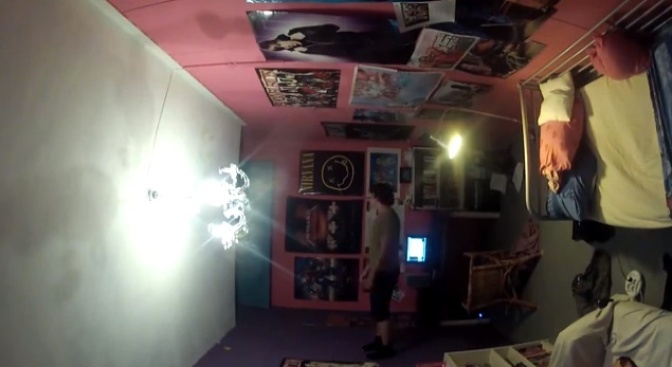 When Netherlands-based filmmaker Tobias Mathijsen's brother Facebook-pranked him last year, he took revenge by giving his brother's room a girly pink makeover. This year, he admits, his brother has done no wrong. But as Laughing Squid reports, he pranked him anyway, by turning the room 90 degress. While the little Mathijsen seemed frustrated, ("I understand how to get a pink room back to normal, but I don't know how to fix this...") he can't help admit that the prank is "pretty awesome," before warning, "I'm really gonna get you back for this." Wonder what Mathijsen will cook up next year! See the full piece on Laughing Squid.